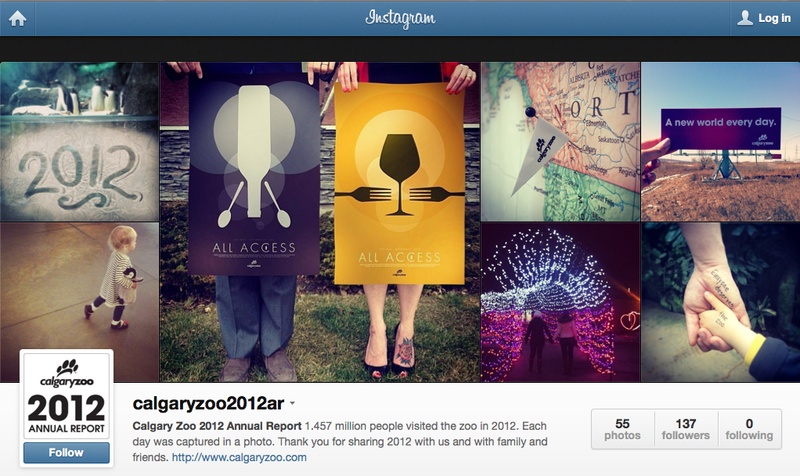 This year, instead of creating a glossy, expensively printed annual report filled with dull content, the Calgary Zoo released the world’s first annual report entirely on Instagram. The annual report copy was formatted to fit Instagram’s style sheet, and the result is a one-of-a-kind, shareable and environmentally-conscious insight into zoo life. The on screen format allows for a much richer media experience with interactivity and eye-catching images. At the same time, the organization was able to demonstrate the Zoo’s message about conservation. This is a great example of how an annual report can be an opportunity to express an organization’s achievements in a clear and engaging way to employees, shareholders and other stakeholders. It also shows how forward thinking communicators can use annual reports as a PR opportunity to summarize a client’s yearly activity beyond the numbers, facts and figures and include more colourful information about corporate culture, community relations and social activities. The comic was produced with an application that turns photos into illustrations. This annual report probably took a lot of time to produce but everyone involved likely enjoyed the process and it’s another inspiring example for the rest of us on how to be more creative with annual reports. One final example: incorporating a video message into an annual report where the information is boiled down to its essence in a more engaging way. Unlike most printed annual reports, video does not involve a lot of long text; it’s something you can spend five minutes listening to get a quick overview and sense of the key themes and highlights. The example I have provided of this CEO introducing The Waterfront Development group’s annual report is ‘just okay’. I applaud the organization for taking the time to record the footage (outside using the waterfront as a backdrop, which is very fitting for this group) but I think that they could have taken the 55-second clip one step further by incorporating more dynamic b-roll footage or images from their annual report.